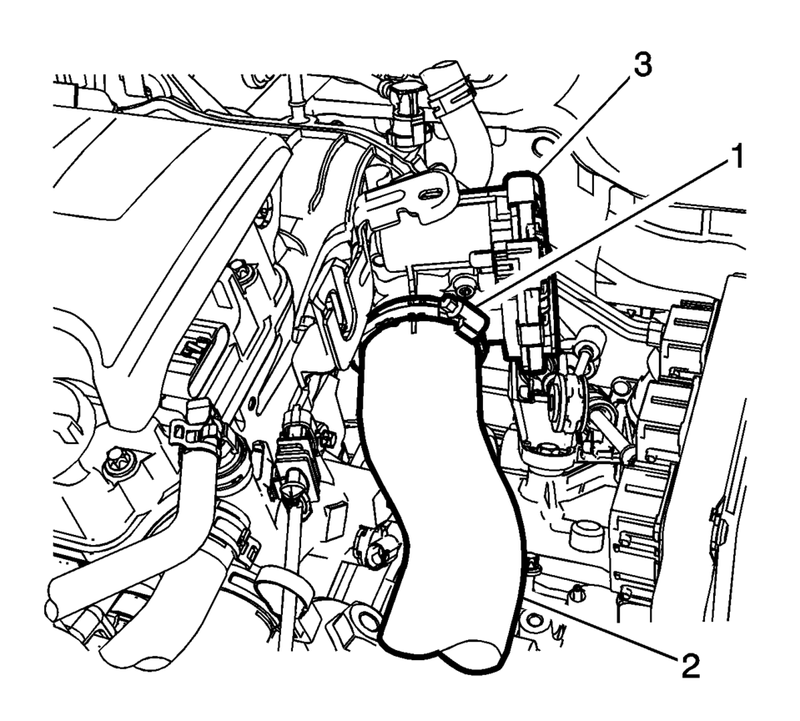 Loosen the clamp (1) at the charge air cooler outlet pipe (2) to throttle body (3). 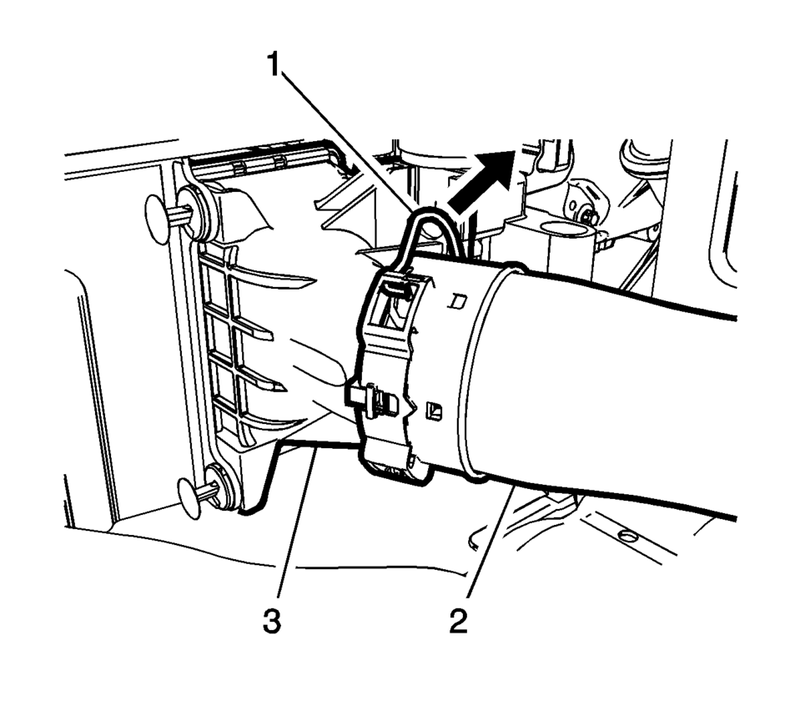 Disconnect the intake air pressure and temperature sensor harness connector. Remove the plastic fasteners (1) from the charge air cooler outlet air pipe to frame bracket (2). Unclip the retainer spring (1). 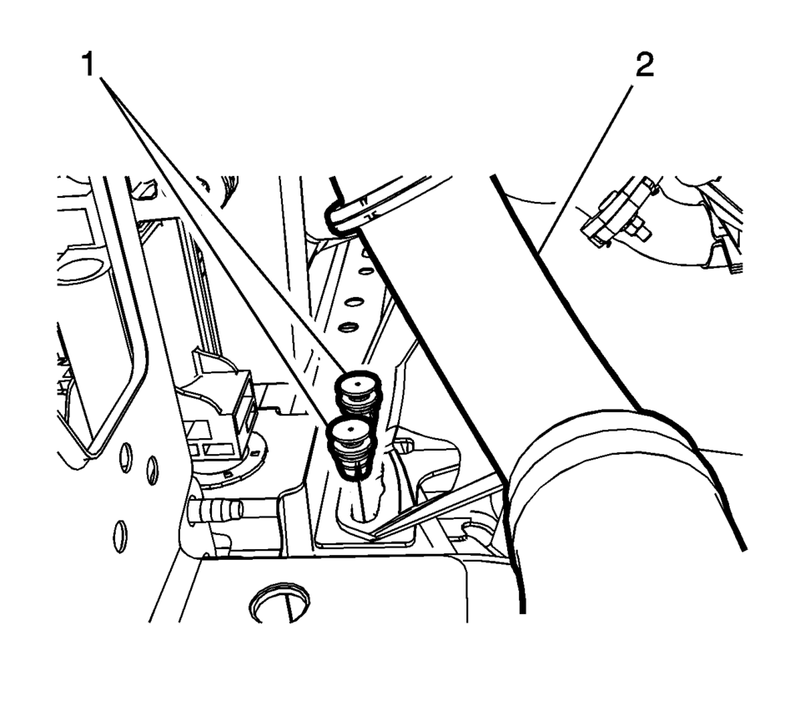 Remove the charge air cooler outlet air hose (2) from the charge air cooler (3). Install the charge air cooler outlet air hose (2) to charge air cooler (3). Clip the in retainer spring (1). Connect the intake air pressure and temperature sensor harness connector. Install the plastic fasteners (1) to the charge air cooler outlet air pipe to frame bracket (2). Install the charge air cooler inlet air pipe to the turbocharger.